I enjoy the comments left on my Consumers Distributing entry. 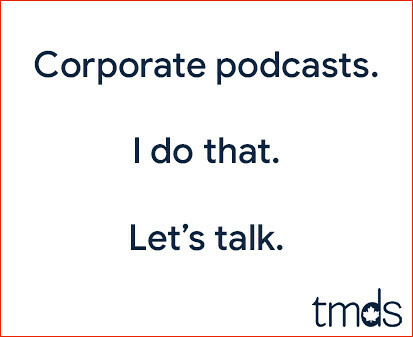 There are comments from those who fondly remember the old Canadian retail chain, some who worked there and others who aren't at all surprised Consumers Distributing didn't make it. Last week in Dublin, I needed an adaptor for my power bar. The one that got me through trips to Berlin, Paris and Amsterdam wasn't going to work in Ireland, so I ended up at a store called Argos. Argos is exactly like Consumers Distributing. You order out of a catalogue and pick it up at a desk with a conveyor belt, just like I remember it. €5.99 later, I had my adaptor. 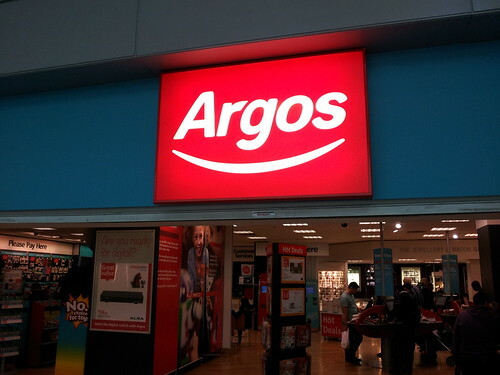 Ok, Argos wasn't exactly like Consumers Distributing. The item I wanted was in stock. I Remember getting the flyers on Friday afternoon after school and you'd circle what you wanted and run to the local mall (Shoppers World in Brampton). Get to one of the counters with the catalogue and those slips of paper, fill it out, get in line, hand it to the person behind the desk only to get crushed by the fact they didn't have it in stock!! You'd scream THE FLYER ONLY CAME OUT YESTERDAY!! WHY DON'T YOU HAVE THE ANDRE THE GIANT FIGURE IN YOUR FLYER?!?! Sorry, that was my 11 year old voice there... good times. Good times. WOW. We were just talking to the kids about Consumer Distriuting last night. About how we'd circle what we wanted for Christmas in the catalogue and somehow Santa would know what we wanted. I had the same reaction - great place to shop if they ever had anything in stock. So Mike's last line was a pure gem, and it truly did make me LOL. Ya, the Consumers Distributing catalogue was key Christmas material. Oh Consumers Distrubuting, how you teased us so! Similarly, my dad would tell me about the days when he first came to Canada around '67, and he wanted to buy booze in Toronto. Apparently you purchased it somewhat similar to how Consumers Distributing worked, where you had to fill out some card or form and they brought it out from the back. He also mentioned that in those early days, bars/pubs originally had to keep windows and such covered so anyone outside walking by wouldn't see the debauchery going on within. And, many many years ago in Toronto, the City's medieval landlords would even lock up kids' swings in parks on Sundays. As an atheist, I thank God the church isn't that attached to the law anymore, and Pray for the dissemination of reason and logic, so help me Lord. "As an atheist, I thank God the church isn't that attached to the law anymore, and Pray for the dissemination of reason and logic, so help me Lord." @RyanG - Yes, the liquor stores had code numbers and descriptions on the wall, and you ordered by code number, took it to the cashier and paid. They all had change machines were coin change would roll out into a tray. The coolest part was the guys behind the counter would get your booze, and "snap" open a paper bag to put it in. The guy with the loudest snap was the coolest guy in the store. At the Beer Store, you lined up told the guy what you wanted and he would yell your order into a mike to the guys in the back, and it would come out on a rolling rack to you. Still remember my Dad buying 24 Molson Stock Ale, and the guy would yell "Square Stock Ale"
@4X4, beer stores are still like that. The old LCBO the floors had a rubberized floor in the back and tile up front. If a worker dropped a bottle, most times it wouldn't break. Out front, after the money exchange, not a chance.